I enjoy a good romantic suspense novel or suspense-thriller and Fossen's Holden more than fills the bill. This story hits the ground running from page one and doesn't let up until the end. It's filled with action, intrigue, romantic chemistry, second chances, family feuds, and enough twists and turns to keep me guessing until the very end. Holden and Nicky are intriguing characters who had a brief relationship in the past that ended badly when Nicky did something she now regrets. Working together to find the missing baby quickly makes it clear that there's still attraction between them but Nicky's lies put Holden and his family in danger once before. Is she being completely honest this time and as deeper emotions come to the surface, will Holden believe in her enough to put his heart on the line one more time? Nicky and Holden have a complicated past, made more so by the fact that their families are on opposite sides of the law. I found their journey believable and enjoyable but readers should know that their romance, while important, is secondary in this book. Holden is part of Harlequin's Intrigue line and as such the primary focus is on the action/suspense facet of the story. A bit more time devoted to the emotional development of their relationship would have been nice but there was enough for me to believe in their happy ending and I was so caught up in the action that I truly didn't miss it as much as I would have thought. Fossen skillfully leads her characters through an action-packed, edge-of-your-seat race to uncover a villain and save a baby before it's too late and I was with them every step of the way. Holden is the 10th book in Fossen's The Lawmen of Silver Creek Ranch series but stands well on its own. Several characters from previous books are featured in Holden but not having read their stories in no way lessened my enjoyment of this book. If anything, it made me excited to read their books! 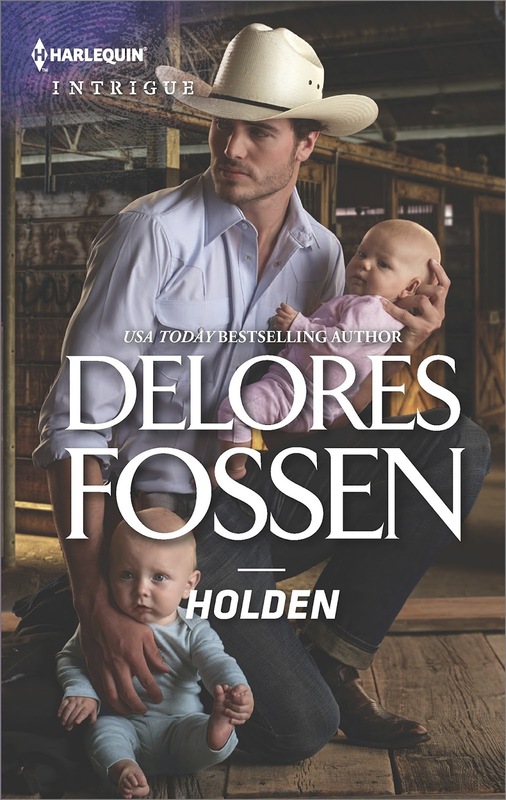 Whether she's writing straight western contemporary or western contemporary intrigue, I can always count on Delores Fossen to bring realistic, multi-layered characters and emotional, fast-paced, and thoroughly satisfying stories to life through the pages of her books. I've read a couple of them but need to get back to the series. There is a lot to love in this book, and in this series! I'm so glad you enjoyed it. Thanks for being a part of the tour. 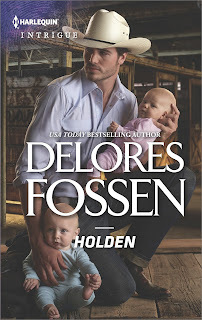 Delores Fossen is one my go to authors when I am looking for a good Harlequin Intrigue read. I have never been disappointed in any of her books I have read. This is another one I will be looking for.